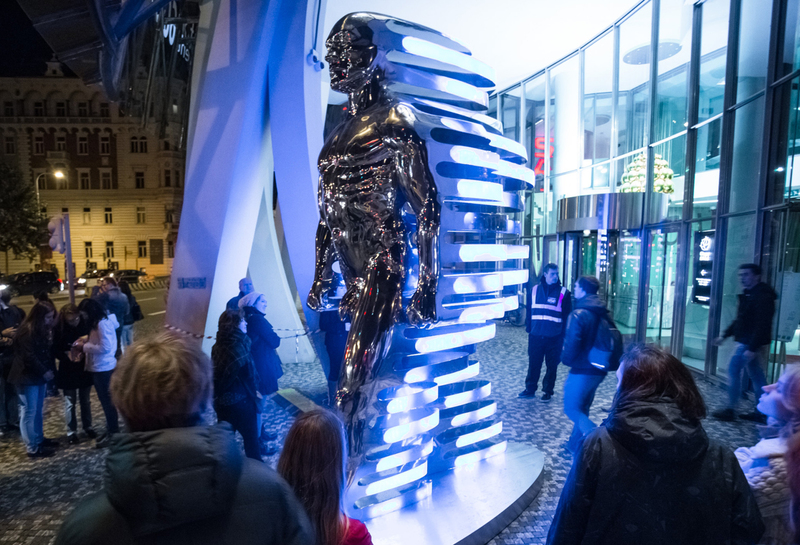 David Cerny’s Speederman was featured in Amsterdam’s third annual light festival in 2013. 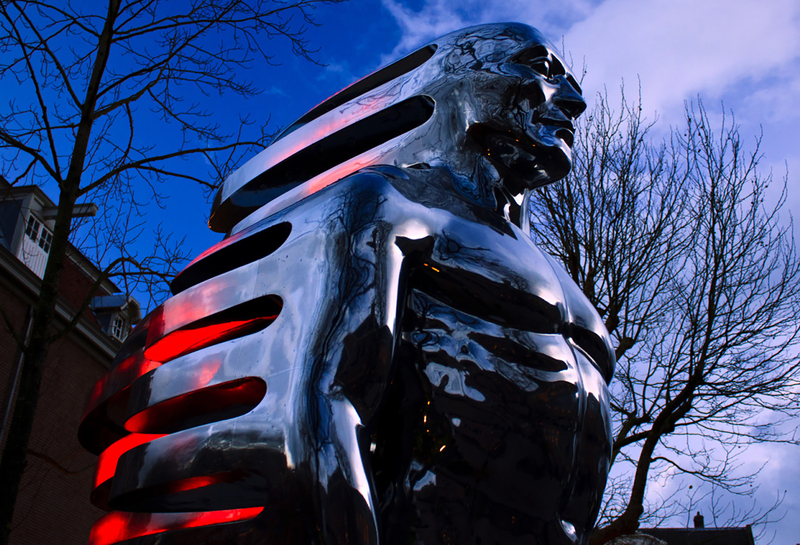 Speederman is a four meter tall silver figure whose rapid movement is conveyed behind the sleek male form in a permanent tailwind of color and steel. At first glance, Speederman could be confused with Marvel’s Silver Surfer, or perhaps the liquid metal Terminator from Terminator II. However, David Cerny is not in the business of creating comic book characters. His art is often a poignant political and societal commentary. Speederman celebrates the human form, possibly conveying thoughts on evolution, or commenting on the pace of contemporary life. Regardless of the onlooker’s interpretation, the installation is stunning. 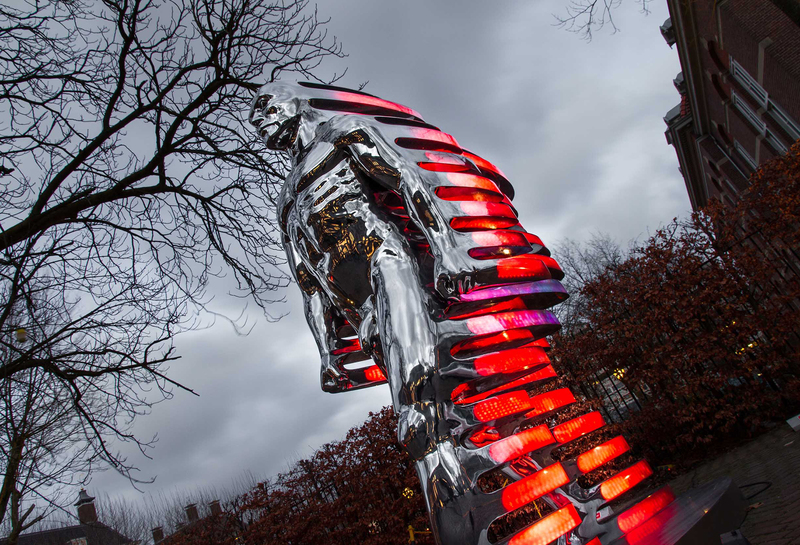 The lines depicting motion are illuminated by lights that change in color and add dramatic effects to Speederman. 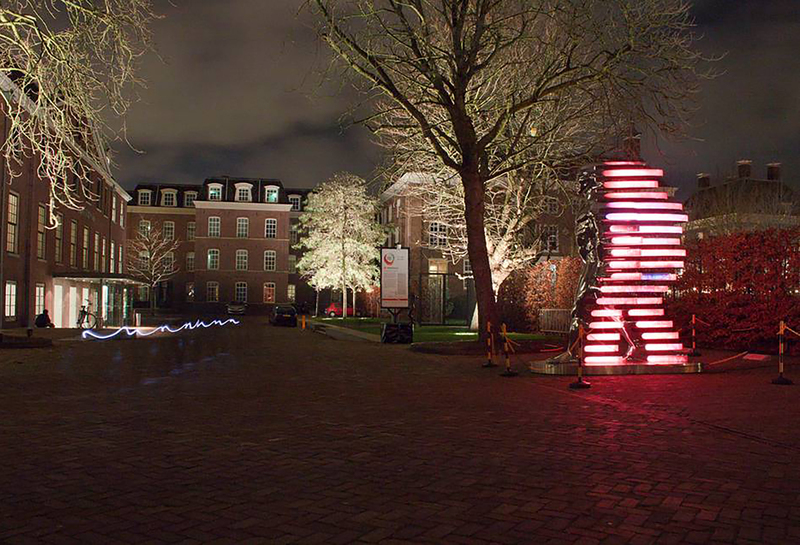 Speederman was outdoors on display for Amsterdam’s 3rd annual light festival. The colors in Speederman’s tail stream change and alter the tone of the piece. The lustrous Speederman combines the perfection of the human form with the beauty of human technology in a static depiction of perceived progress. 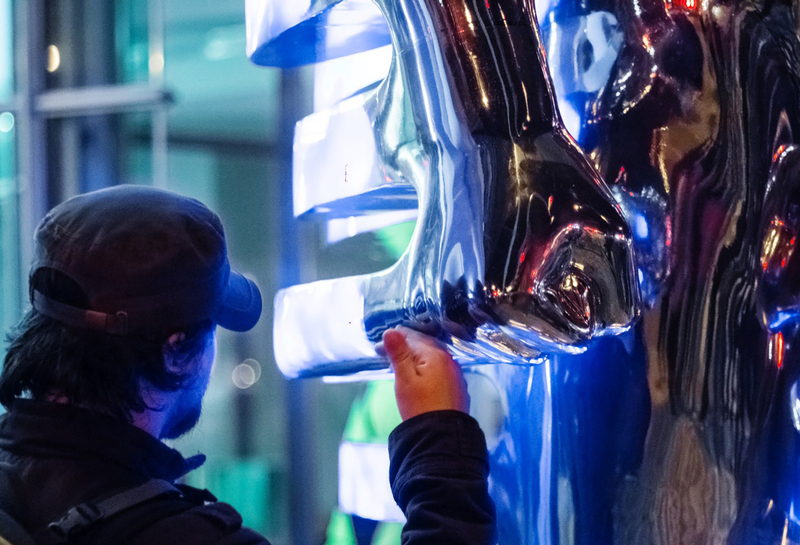 David Cerny enjoys creating works that are larger than life, and Speederman is a fine example of their grandeur. Speederman almost appears to emerge from the cityscape as though he is born of it, and fleeing from his origins.